Well there’s an odd turnabout. LEGO Minifigures Online, Funcom’s kid-friendly LEGO Diablo, has finished up its run as a free-to-play game and is relaunching June 29 as a paid experience for PC, Mac, Linux, iOS and Android. Used to be you could just hop on to LEGO Minifigures Online anytime you wanted from your web browser. When the game relaunches next week it’ll cost $29.99 on Steam for the PC version, while Android and iOS players will need to spend $4.99 for the first world, the rest made available as microtransactions (Android players will need to wait until later this year for the rest). At least there’s no subscription! During the initial run of the PC version of the game, we have collected player data and feedback, and have used this to make informed decisions about the continued development of the game. The buy-to-play business model will allow us to present a more fun and engaging gaming experience that we believe will resonate better with the target audience, thus we believe that the buy-to-play business model will be more commercially viable for LEGO Minifigures Online than the free-to-play business model. I’m going to interpret that as Funcom realizing they were giving too much away for free. On the plus side, the new screens present a much more polished online world, more in line with the console LEGO games. There are still more than 100 characters to collect, and the codes found inside toy packages still unlock their corresponding characters. Plus all platforms will be playing on the same servers, so playing together with friends will be easier than ever. Players who’ve spent any amount of money in the free-to-play game’s store will automatically be upgraded to the pay version on June 29 (hooray). 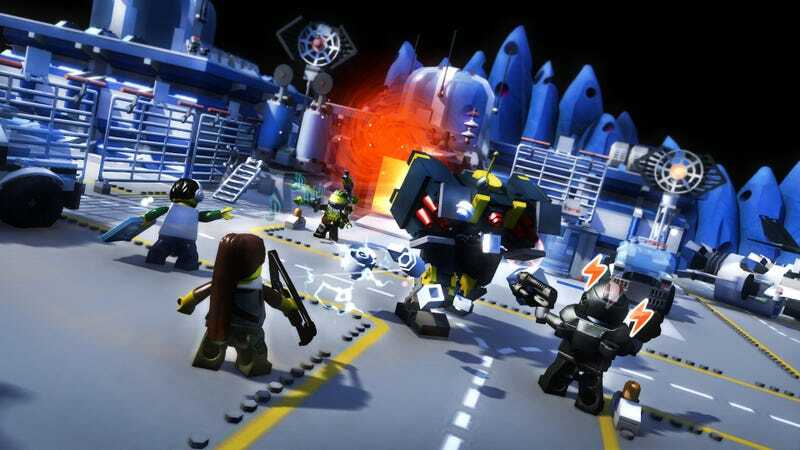 The rest can wait until I have impressions of the new and improved version of the LEGO MMO next week.